Ladies and gentlemen.. this is the world’s most expensive motorcycle! Unveiled a few days ago by the renowned Swiss watch and jewelry brand Bucherer, the Harley-Davidson Blue Edition is a one-of-a-kind masterpiece, designed in collaboration with Bündnerbike, and featuring fine embellishments from the esteemed watchmaker and jeweler. 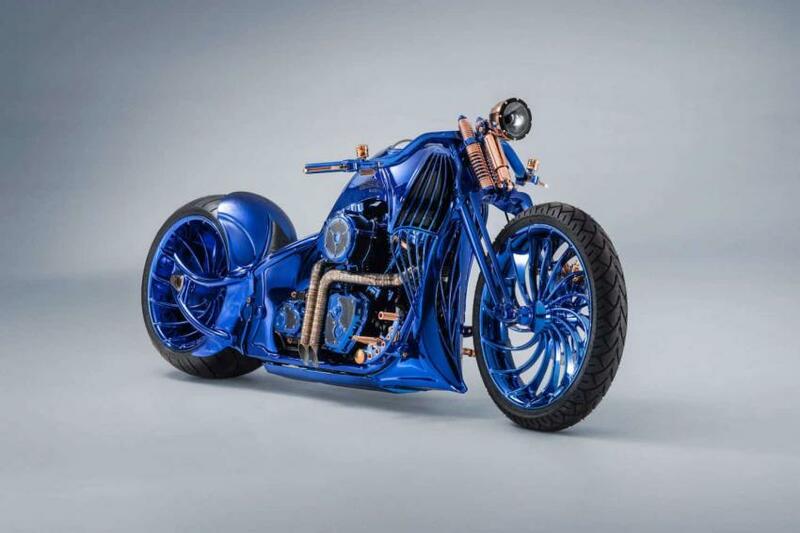 Valued at a staggering 1.8 million Swiss Francs or around $1.79 million USD, this ravishing bike is based on the Harley-Davidson Softail Slim S, but it shows off a completely different look. The frame was welded seamlessly, and even the rims were custom made for this unique motorcycle; please note the rotating camshaft, visible through a window in the camshaft housing, the valve control, and the gold-plated throttle valves. 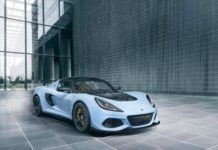 Heat-resistant LED lights are also there, while the motor is lit up from the inside – yet another world first. Daydreaming about this bike has taken quite a lot of my time, but it was totally worth it. Various parts of the motorcycle were gold-plated, while the iridescent blue color required quite a lot of attention to detail and artistic talent to get to this incredible look – six color coatings were applied before the seductive finishing shade resulted. The specialists of Bündnerbike needed exactly a year to design and produce this special Harley-Davidson Blue Edition and over 2,500 working hours were invested in the project. A striking detail is the implementation of the Dizzler rotating ring from the Bucherer Fine Jewelry collection, that’s mounted on the hand grips. Another pair of Dizzler diamond rings can be found on the forks, followed by a larger version in the left half of the tank – some of you might also notice the six-prong Heaven solitaire ring with a 5.40-carat diamond. There’s also custom watch from Carl F. Bucherer, based on the Patravi TravelTec II, that shows off a dial adorned by elements of a motorcycle engine. This should help you out count each second spent riding this million-dollar unicorn.